How to feed yourself without breaking the bank. So you're living off-campus this year in an apartment or other housing-congratulations! With this new freedom, however, comes new responsibilities, such as keeping the place clean, getting where you need to go, and feeding yourself without the aid of a meal plan. For some students, especially those without cooking experience, this can be a daunting task. Many of these students spend an inordinate amount of money on prepackaged food or eating out, which can quickly eat through whatever budget you've set aside. Not to worry, however, as there are plenty of easy ways to prepare food with little to no cooking experience. Cooking for yourself saves money in the long run, especially when you consider that a $6 cooked meal will often yield 3 or more portions, which means less cooking in turn. 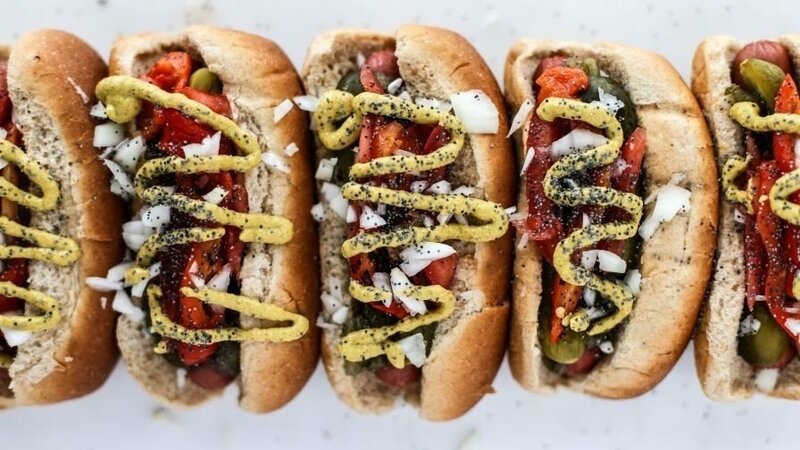 From slow-cooked meals, to sandwiches and savory salads, cooking for yourself opens up a whole new world of culinary opportunities. With these simple recipes, you'll be cooking in no time, saving money while doing it. 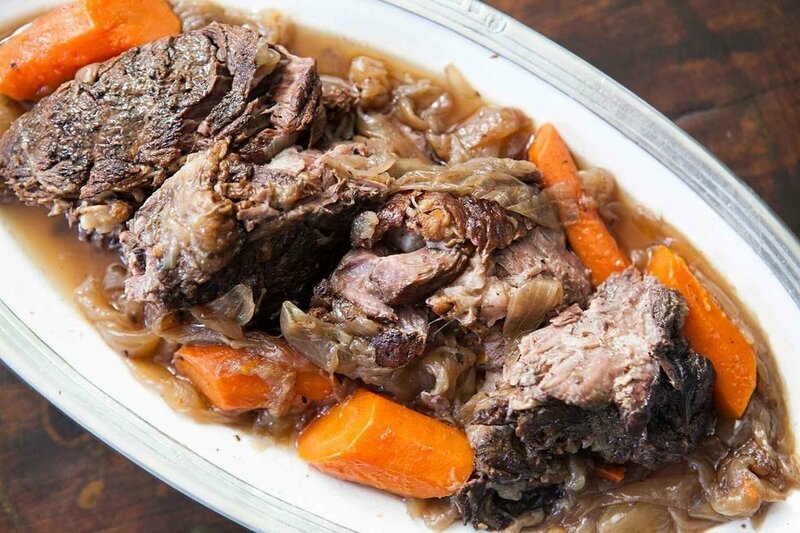 Truly one of the cornerstones of the working man's diet, the humble pot roast is a meal that's easy to prepare and is cooked throughout the day in a crock-pot or other slow cooker. This method frees up your day to make room for other obligations and results in a hot meal waiting when you return. Step 1: Generously season your roast (preferably chuck) with salt and pepper before transferring to a hot skillet for searing. Step 2: Sear the roast evenly and on all sides for about 4 minutes, or until browned. Step 3: Prepare your vegetables by chopping whole carrots, onion, and celery. Peel and cube one whole potato for the roast. Step 4: Transfer the roast to your slow cooker before adding about 1 cup of water (chicken stock works great too!) along with chopped carrots, onion, celery, and potato. Step 5: Add one packet of dry onion soup, evenly coating the top of the roast. Cover and cook on your pot's low setting for at least 7 hours. Feel free to up the temperature for faster cooking. 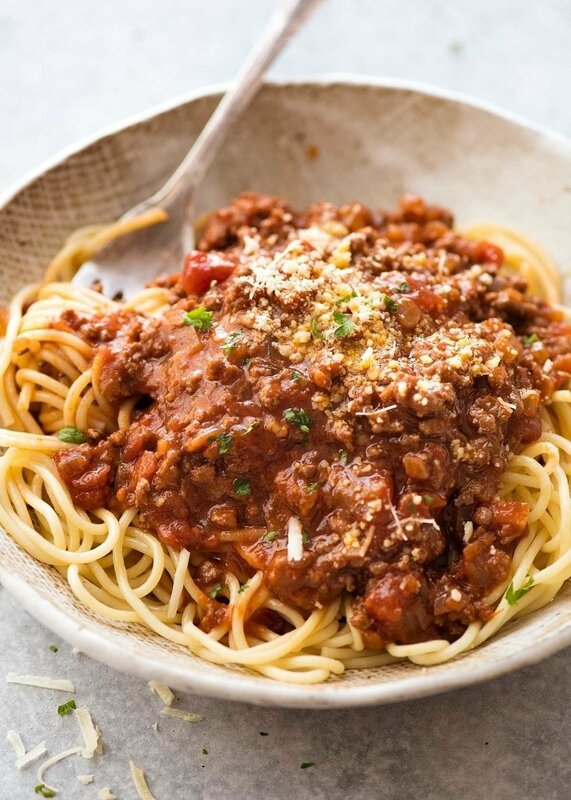 The most iconic dish in Italian cuisine, this spaghetti is quick to prepare and even easier to assemble. Step 1: Cook approximately 1 pound of fresh-ground beef in a skillet, occasionally chopping and stirring to cook evenly. Step 2: Drain the beef on a paper towel while preparing your noodles of choice. Step 3: Bring a pot of water to a rolling boil before cooking your pasta for around 5-10 minutes. Step 4: Microwave about a half-cup of preferred pasta sauce, before adding it to your beef. Stir well for an even coating. Step 5: Plate your spaghetti and top with your fresh bolognese sauce. Step 1: Bring a medium-sized pot of water to a rolling boil over the stove. Step 2: Add your sausages, taking care to only add a few at a time, preferably 3-5. Step 3: Cook for about 5 minutes before transferring the sausages to a skillet for searing. Step 4: Cook evenly for about 30 seconds to 1 minute before serving. 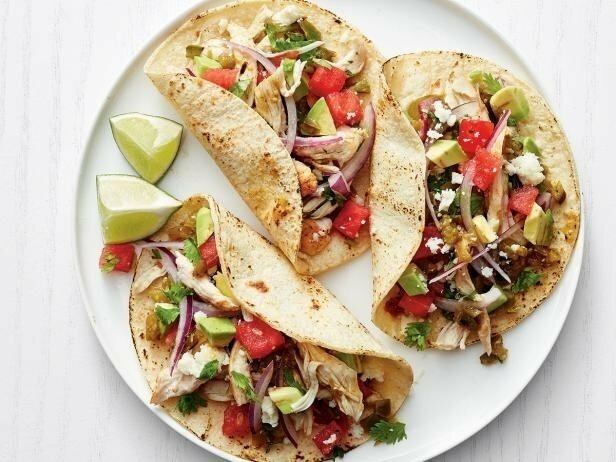 These tacos are super versatile and take only a few minutes to prepare. Step 2: Add 1 packet of taco seasoning, mixing to evenly distribute. Step 3: Drain on a paper towel while preparing tortillas. Step 4: Heat your preferred tortilla in a skillet until warm and crisp, flipping to heat evenly. These have quickly become a favorite slow cooker recipe of mine, and for good reason. Extremely simple to prepare and delicious! Step 1: Create your meatballs, or purchase pre-formed ones at the store. 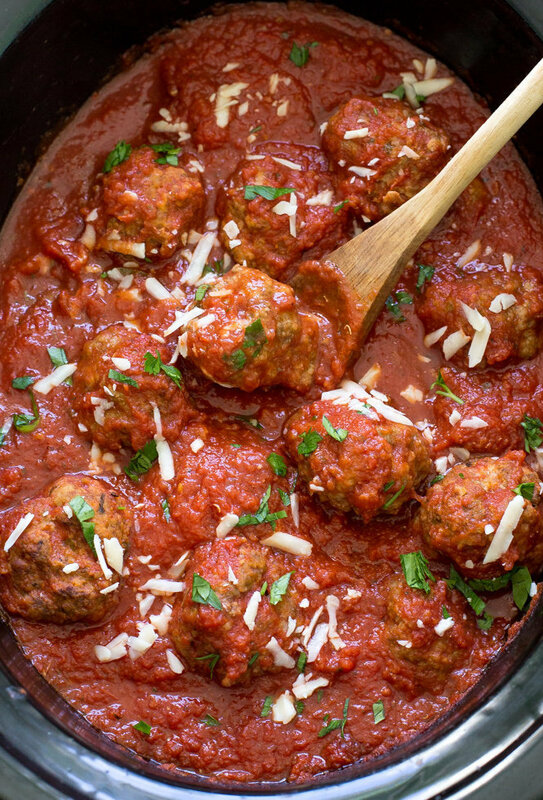 For homemade meatballs, combine equal parts raw ground beef and pork with basil, onion, and seasoning. Step 2: Sear the meatballs in a skillet, turning evenly until browned. Step 3: Transfer the meatballs to your slow cooker and add a few crushed tomatoes. Simmer on low for several hours. Step 4: Plate and serve the meatballs with a sauce or pasta of your choice! 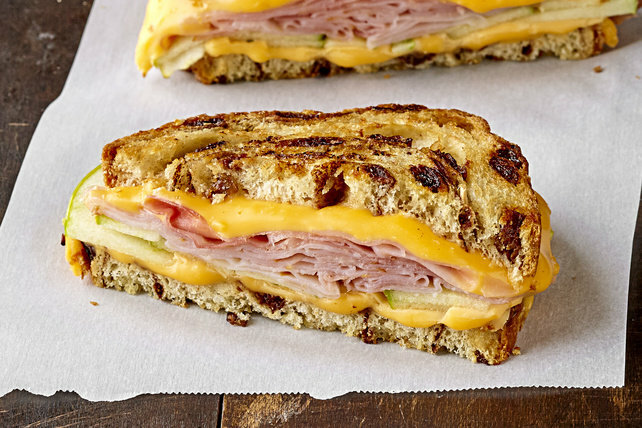 This is a tasty twist on the classic grilled cheese, with only a few extra steps. Step 2: Place one slice butter-side down in a pan, topping with cheese, ham, and sliced apple. Step 3: Place remaining slice on top, butter-side up, then flip and grill before serving. 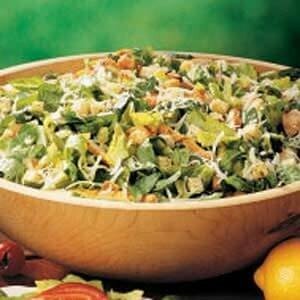 A lighter option for the healthy diet, this chicken caesar salad is fresh and quick to prepare. Step 1: Prepare your base by tearing roughly 6 cups of romaine lettuce. Step 2: Add 1 pound cooked boneless skinless chicken breast. This can be bought pre-cooked from the store ahead of time. Step 3: Add 2 cups seasoned salad croutons. Step 4: Add 3/4 cup shredded Parmesan cheese. Step 5: Add preferred amount of caesar dressing before tossing and serving. 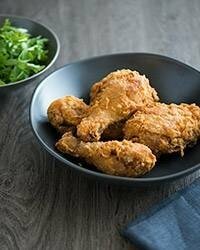 This easy fried chicken is the perfect dish for when you're feeling a bit more adventurous with your cooking, but don't want to go too crazy. Step 1: Rinse the chicken and pat dry. Season with salt and pepper to taste and set aside. Step 2: In a large bowl, beat 2 eggs and set aside. In another large bowl, add 1 cup of flour. Step 3: Coat the chicken in egg and dredge in flour, shaking off any excess. Set coated pieces aside and repeat with the remaining chicken. Step 4: Heat 1 inch of oil to 375° in a large frying pan or Dutch oven. Step 5: Working in small batches, gently place the chicken in the hot oil and fry on both sides until crispy and cooked through, 10 to 15 minutes on each side. We all love a good mashed potato, don't we? 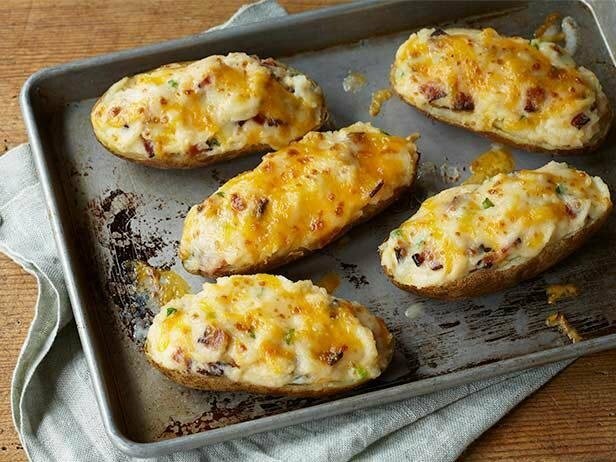 These twice-baked potatoes put a twist on the concept by including that irresistible potato shell, and make a perfect addition to any main course. Step 1: Preheat oven to 400 degrees Farenheit. Step 2: Bake potatoes for 1 hour after rubbing with a bit of canola oil. Step 3: Slice butter into pats and combine with bacon bits and sour cream. Step 4: Cut potatoes in half lengthwise, scooping out the inside but leaving the shell for support. Step 5: Mash potato into butter mixture, add cheese, milk, seasoned salt, green onions and black pepper to taste and mix together well. Step 6: Fill potato shell with filling and bake for 15-20 minutes. 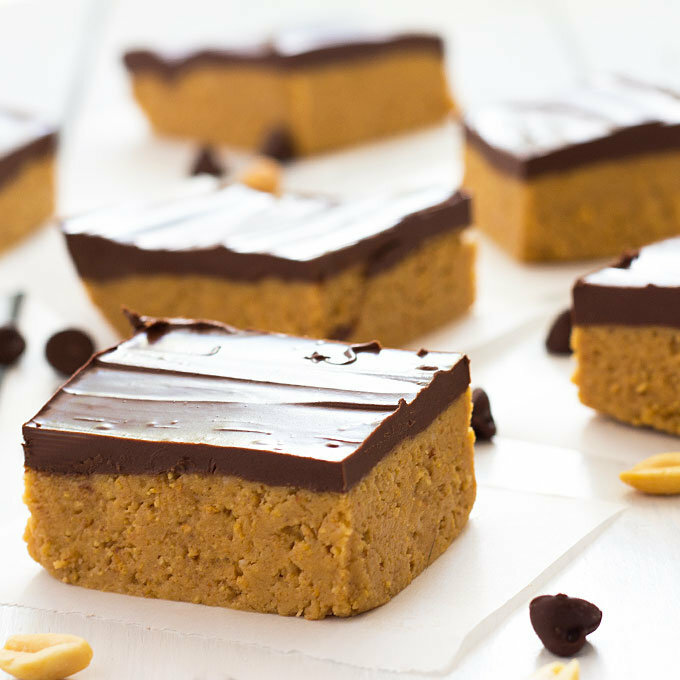 These bars make a perfect dessert for any occasion. The advantage of refrigeration over baking is that these bars can be prepared in about 10 minutes and be ready within the evening. Step 1: Line a 8x8 or 9x9 square baking pan with aluminum foil. Set aside. Step 2: In a medium bowl, mix 1/2 cup melted butter, 1 cup graham cracker crumbs, and 1 cup powdered sugar together until combined. Stir in 3/4 cup of peanut butter. Spread into prepared baking pan. Step 3: In a small bowl, microwave 2 Tablespoons of peanut butter with the chocolate chips until melted. Stir until smooth. Spread over peanut butter layer. Step 4: Chill until completely firm, at least 3 hours. Allow to sit at room temperature for 10 minutes before cutting. Step 5: Bars stay fresh for 5-7 days stored in the refrigerator. Serve chilled. (Setting them out for a few hours at room temperature for serving is OK.) Bars can be frozen up to 2 months. Thaw overnight in the refrigerator.